Sorry, this job expired on Feb 16, 2019. Below are other jobs that may be of interest to you. 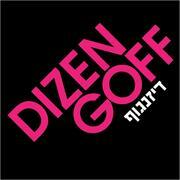 DIZENGOFF, a traditional Israeli-style hummusiya in the Rittenhouse Square neighborhood of Philadelphia, is seeking a Line Cook! This is no ordinary line cook job: you will wear many hats! Candidates must be fired-up about hospitality and providing a welcoming experience for our guests. Candidates put the guest first while paying close attention to the details. Dizengoff is a fast-paced restaurant – candidates must be able to handle high volume with an upbeat attitude, be self-motivated, and work clean while dishing up exceptional hospitality.